Even a broken clock is right twice a day. In this piece from Eurasiareview.com arguing that NFL owners are right to blackball Colin Kaepernick, Tho Bishop at least gets points for being honest about the actual reason Kaepernick remains a free agent—his national anthem protests against racism. Bishop argues that, at the end of the day, the NFL is a business and is responsible for catering to the desires of its customers who were overwhelmingly displeased with Kaepernick’s protests. Bishop cites two sources, both polls, to support his assertion. 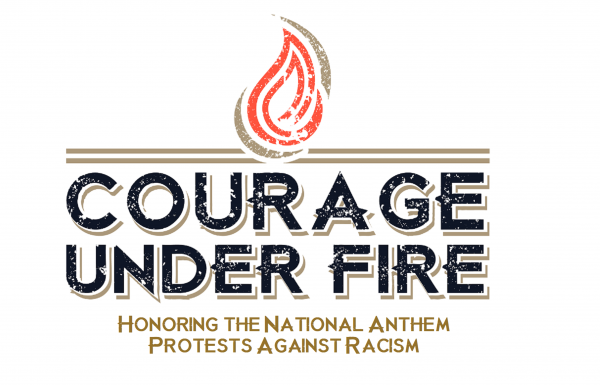 While Bishop correctly states that 70% of those in a Reuters poll objected to the national anthem protests against racism, that 70% figure represented white people polled, a fact Bishop failed to note, while minority respondents overwhelmingly favored the protests. The second source was a Rasmussen poll in which purportedly a third of NFL fans stated that they were not watching NFL games due to the national anthem protests. In addition to the alleged “Kaepernick Effect” on ratings being thoroughly debunked, this survey also broke along racial lines with whites twice as likely to cite the protests as the catalyst for their alleged refusal to watch NFL games. Thus, what both of these surveys actually reveal is that racism is the issue that is really at the core of both alleged consumer angst regarding Kaepernick, and, per Bishop’s theory, by extension, NFL owners’ refusal to sign Kaepernick. That being said, even if Bishop is correct that NFL owners are thinking of their consumers and their bottom lines to some degree regarding this decision, the fact of the matter remains that it is inappropriate to ostracize and refuse to hire Kaepernick because he peacefully protested against racism in America; and NFL owners’ actions are not justifiable because the bases for their fans actions are themselves shameful. Kaepernick’s cause is a noble one, and NFL owners should not be enabling the naked racism of their fan bases. What if fans stopped watching football if there was a female head coach hired or doing play by play for nationally televised games? Would the owners make some sort of effort to remove the coach or punish the network that hired the broadcaster? If so, would such actions be acceptable under the guise of “this is affecting ratings?” This kind of greed and dearth of morals is sadly another recurring theme in American history; and the treatment of Kaepernick in 2017 is a stark example of the fact that the national anthem protests were, and still are, a powerful rebuke of the hypocrisy that is emblematic of these United States.